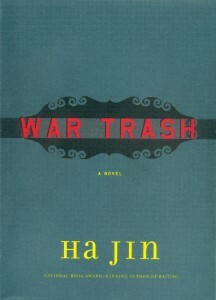 At least within the United States, the most successful native-Chinese writer of fiction is undeniably Ha Jin, whose latest novel War Trash earned him his second PEN/Faulkner Award in competition with outstanding current American writers; the novel was also a finalist for the Pulitzer Prize. These honors, moreover, are only the latest of a string of awards conferred on his fiction, written exclusively in English, since the publication of his initial collection of short stories in 1996. If we take into account the fact that Ha Jin spent nearly the first three decades of his life in China and did not study English formally until he was almost twenty, his success as a creative writer in a medium essentially foreign to his upbringing is surely astonishing—and promising. It also brings on larger questions of what “national” fiction has become in our world, and why he is able to appeal to readers and critics who approach his writings from a universalized perspective, outside of the particularized contexts of Chinese history or Chinese culture. In sharp contrast to other native Chinese who have written poignant personal accounts in English—Jung Chang of Wild Swans and Nien Cheng of Life and Death in Shanghai come quickly to mind—Ha Jin, never himself involved in the Korean War, is not writing a memoir, the specific claim to the contrary here notwithstanding. War Trash is essentially fictional, the product of research and imagination; regardless of the similarities between the author and his narrator, it is not unfiltered personal experience. If Ha Jin the author feels the “full weight of the tattoo,” he does so in his heart and mind; the tattoo is on the narrator Yu Yuan’s belly and not on his. 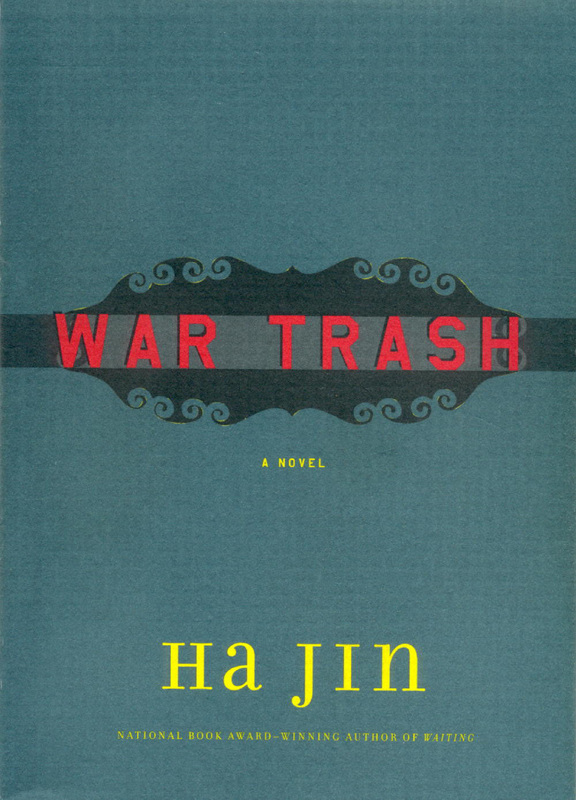 Even though War Trash recalls a major historical event affecting both the author and his readers, it is therefore important to note that it is not really historical fiction, not a work ultimately concerned with China or the United States or Korea but more with universal issues of war and humanity. That a native Chinese author has learned to write this kind of fiction is even more remarkable than the fact that it is written in English. War Trash proper tells the story of Yu Yuan, who crosses the Yalu River on March 17, 1951 with the Chinese “volunteers” to defend his homeland against the looming American threat. He is soon captured and held in two different POW camps. The struggles that ensue among the Chinese prisoners who wish to be repatriated and those who do not, between the Chinese prisoners and their North Korean counterparts, and between the prisoners and their American keepers, are recounted in rather spare prose. Nevertheless, Ha Jin is able to use history as a backdrop to portray a complex situation of human tragedy, frailty, love, and aspirations, presented from Yu Yuan’s personal perspective. As a former cadet in the prestigious Huangpu Military Academy both before and after the Communists came to power in 1949, and someone with a high level of English proficiency, Yu Yuan’s value to the Chinese side actually increases after he is taken prisoner. He becomes an interpreter in different negotiations with the Americans. His background, as well as his tendency to keep his own counsel, leaves him essentially alienated from his compatriots, who are being wooed either to return to their homeland or to defect to what is trumpeted as “Free China” on the American-protected island of Taiwan. Yu Yuan wishes to be repatriated, but not, like many others, because of a commitment to Maoist ideology or any ambition to profit or succeed. He simply wants to get home to his aged mother and his fiancée Julan. This alienation allows him to observe events unfolding around him with an objectivity not readily available to those steeped in ideological commitments of whatever stripe. It also heightens his tendency to disregard labels—American or Chinese, officer or soldier, friend or foe. He instinctually tries to help the desperate or the unloved in the camp, be they a fellow POW (the young Shanmin) or an animal (the dog Blackie). In spite of his service to the repatriates, however, Yu Yuan eventually finds that, upon returning home, he and all the other ex-POWs have become “war trash” because they had surrendered rather than given their all to the national cause. His mother had already died, and he is told by Julan’s brother to leave her alone, “if you really cared about her.” Still, he more than just survives, becoming a middle-school teacher and managing eventually to marry and to have a son and a daughter, the former ending up in the United States. More than the fact that he writes in English, it is such thoughts that make Ha Jin rare, if not altogether unique, among current fiction writers from China who have become known in this country and the rest of the world either through translations or through their English-language writings. The statement is clearly anti-war. But, more striking, the reason for being so is based on a cosmopolitanism that pervades War Trash as it does all of Ha Jin’s fiction, his unvarying use of his Chinese background as a source notwithstanding. It is far too early in Ha Jin’s career to classify him as a great writer; it has only been ten years since he published his first fictional narratives, and, his many awards aside, those who measure him against other modern writers in the United States have not been unanimous in their praise. Still, the enormous recognition he has received, the splash he has made among readers who are not tied directly to China, show that true equivalence of Chinese fiction and the fiction of the West, assumed since the turn of the twentieth century by Liang Qichao (1873-1929), Hu Shi (1891-1962), and so many others, had not really occurred in the minds of non-Chinese readers. In an article in 1988, C. T. Hsia bemoaned the lack of attention given to both traditional and contemporary Chinese fiction even by international minded American critics of the day. The relative popularity of Ha Jin’s fiction today surely suggests that the reason may have been the inability of so many Chinese writers to transcend Chinese history even as they told their stories under its shadow. Ha Jin demonstrates in War Trash that the idea of being Chinese can actually be made more meaningful when it is truly intermingled with the general idea of being human. That he succeeds is proven by the unprecedented accolades conferred on his work. His many readers have become his American grandchildren, and the vast majority of them have evidently appreciated what he has so far bequeathed. Ha Jin won his first such award for the novel Waiting (1999); only Philip Roth and John Edgar Wideman have also won the award twice in its twenty-five-year history. This collection, Ocean of Words, won the PEN/Hemingway Award. It was followed by a second collection, Under the Red Flag, which was given the Flannery O’Connor Award for short fiction. See my review of the former in World Literature Today (Autumn, 1997). The interview appeared on May 6, 2006. In a clear example of the intermingling of history and fiction that still characterizes so much of China’s attitude towards creative writing, a Chinese writer, Zhang Zheshi, has accused Ha Jin of plagiarizing from his own published memoirs of being a POW during the Korean War, even though Ha Jin has acknowledged using as a source an essay collection Zhang edited. See “Did Ha Jin plagiarize a Korean War memoir for War Trash?” posted by Joel Martinson on July 26, 2005, on danwei.org. See also Maud Newton’s comments on her website http://maudnewton.com/blog/ (posted on August 15, 2005). See Dan Schneider’s review of Waiting on Hackwriters.com (May 29, 2006). “Classical Chinese Literature: Its Reception Today As a Product of Traditional Culture,” Chinese Literature: Essays, Articles, Reviews, 10, nos. 1/2 (July 1988): 138-139.